Honestly, I do not like being in front of the camera. 1) To make a difference in people's lives and our world. - One way this is achieved is by encouraging people to share their stories if they have survived violence or suicide. I have started by doing videos relating personal experiences. - Support / cover events including Walks for Suicide Prevention. - State only facts and make every attempt to present all sides of a story. - Currently by featuring crowdfunding projects. Offering free listings. Offering free promotion space in main navigation / sections. 1) A trip to New York on May 18 to cover Spring Play video game designer expo by Playcrafting (Manhattan). Vertere dance theatre performance (Brooklyn). Travel: $59.55 / Hotel: Minimum $200 on travel sites. Miscellaneous expenses: $25 including food and any public transportation. 3) Boston Trip in June 22 - 23. Overnight Walk for Suicide Prevention: Currently $254 plus taxes and fees (Expedia / Allentown to Boston). This will be a straight roundtrip for event only. No sightseeing, etc. Volunteer and cover event. 4) New phone: All photos / videos are done on the cellphone. The phone is over 2 years old and needs a replacement. (battery holding less of a charge and battery / data port needs replacing for a second time.) Price: $180 - $280. 5) Keeping a roof over my head / survival. Part of the funds will go towards keeping a roof over my head and survival for the next 2 weeks. I am completely honest and upfront even about this part which is embarrassing to admit. In 2 weeks, there will, again, be another source of income (full-time paycheck) to finance this part and, hopefully, other areas of the media. Dedicating almost 6 years of my life to what I do, there has been a lot of support. The businesses and people are what really keep it going. Financial support, tweets, feedback and more have all contributed to what it has become. What Surreal ValeCity is meant to be. Thank You and words can not begin to describe my gratitude. The best I can do is make it something everyone is proud of. To top off desperate need for Laptop (Electronics On Main / Bethlehem: $150). Phone charging / data port is almost finished. It is very loose and harder to plug in. Cost: Switch to Boost Mobile: LG Stylo 4 $84. Phone free / $50 plan / Activation and taxes. I am honest / upfront with everything. Have no problem posting receipts. I received an e-mail about a GoFundMe featured several months ago. This really reminded me of why I continue to be part of the media. And how important it is for the media to make a difference in people's lives. Start button on the HP dv6 is shot. Talked to a computer repair store. Cheaper to get a newer one. This is essential to Surreal ValeCity. "What was left out and why?" "What happened before and after?" "Why was that cut / edited?" 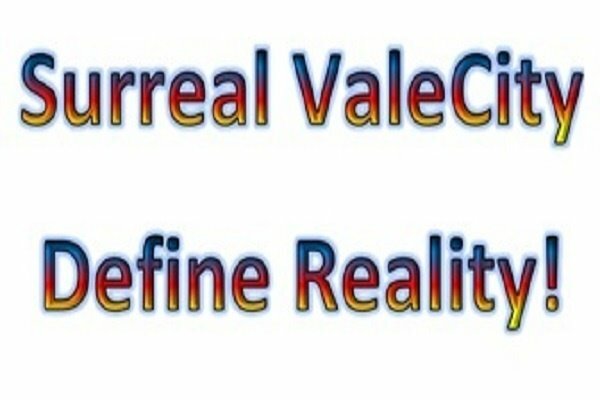 One of the main principles behind Surreal ValeCity.